What is a Nevada Rental Application? Nevada Rental Application: What Is It? A rental application in Nevada is a document that landlords give to applicants who are interested in moving into a rental property or apartment. 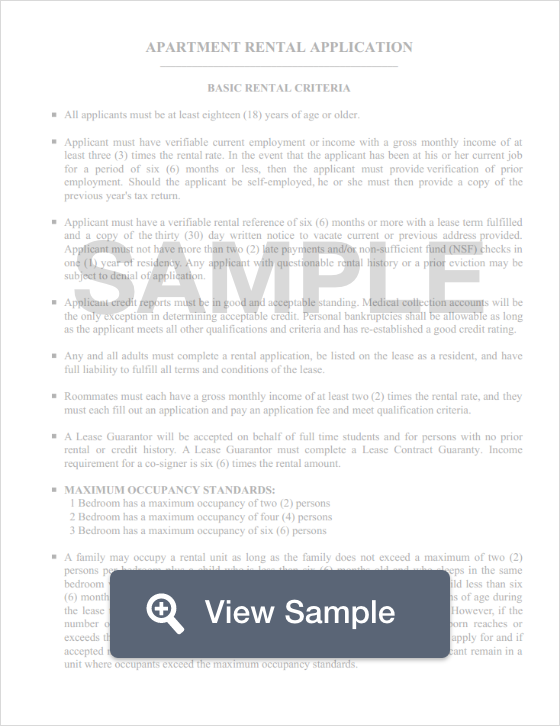 This document requests personal information of the applicant to allow the landlord to determine whether or not the applicant is qualified to rent out the unit. Some of the information requested in a rental application includes the applicant's full name, address, social security number, and income information. Furthermore, there is often a fee associated with these applications. Applicants should expect to pay between $25 and $75 per application, however, these prices can be even higher. According to Nevada Law, landlord’s may request up to the equivalent of three (3) months rent for a security deposit. Once the tenant moves out and vacates the property, the landlord has 30 days to return the deposit to the tenant (Nevada Revised Statutes Annotated § § 118A.240 to 118A.250).